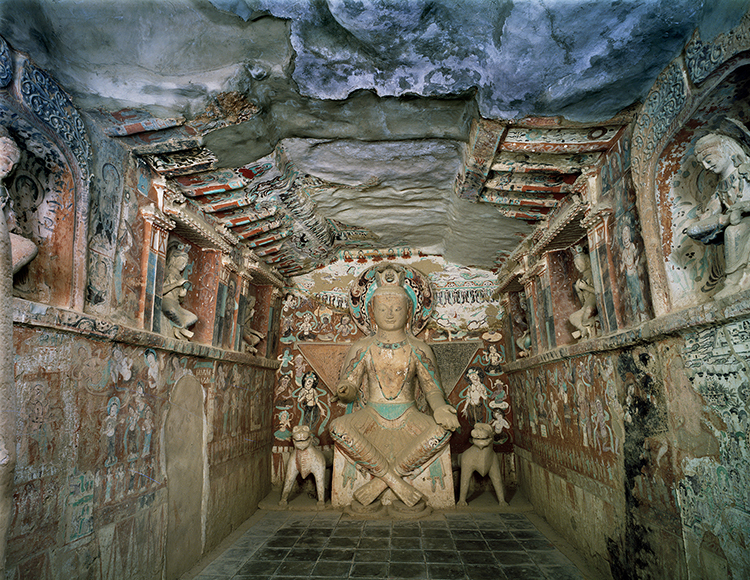 The cave temples of Dunhuang (Mogao Grottoes) in China are the largest surviving site for Buddhist painting in the world. Inside the 492 ornamented caves are 45,000 square meters of wall paintings and over 2,000 statues, some over 100 feet tall. 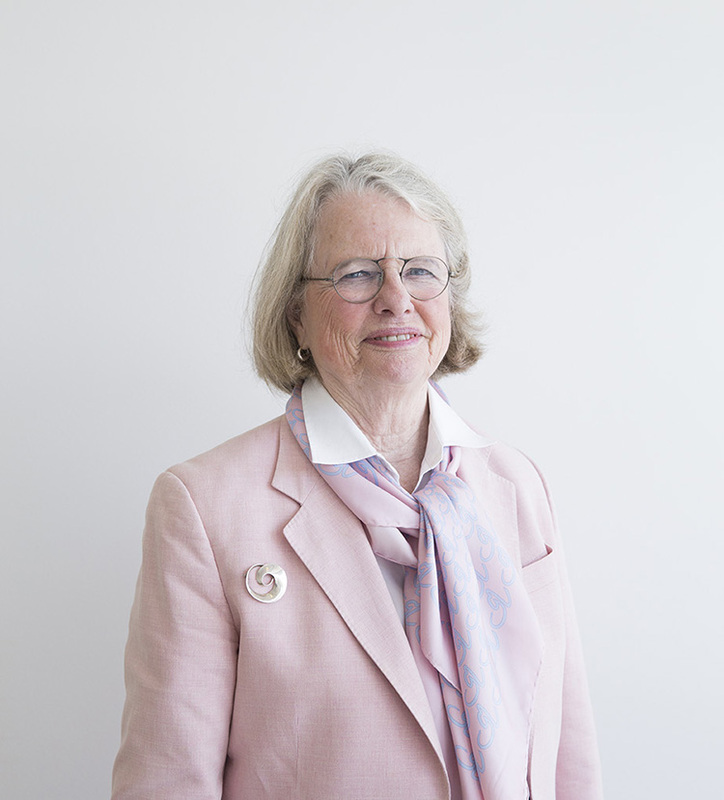 As chairperson of the Dunhuang Foundation, scholar of Chinese art, director emerita of the Seattle Museum of Art, and now co-curator of the exhibition Cave Temples of Dunhuang: Buddhist Art on China’s Silk Road (as well as contributor to the catalogue), Mimi Gardner Gates devotes her prodigious expertise and energy to helping preserve the site. I asked her to describe Dunhuang current, past, and future. Let’s start with the basics. If you could tell someone just one thing about Dunhuang, what would it be? That it’s a site of artistic and religious brilliance that represents a significant aspect of the Chinese past and its relationship with the rest of the world a thousand years ago. A thousand years ago there were no cell phones or internet, but there was vibrant exchange along the Silk Road among merchants, monks, and lay believers going to the homeland of Shakyamuni to see the place he was born and where he had preached. You had Indian monks coming to China, Chinese monks going to India, and all the merchants selling along the Silk Road—a mix of nationalities. The Getty exhibition includes a Hebrew manuscript with Jewish prayers, a Christian manuscript, Sogdian and Tibetan manuscripts—so you get some sense of this rich diversity that was Dunhuang. Describe the place and the caves for us. What is it like to visit? Imagine desert, beautiful sand dunes, a river, and a cliff face that extends more than a mile with all sorts of caves carved into it. You have such a sense of history. It’s like Los Angeles in that the air is quite dry; I always think of sunshine and brilliant blue sky. And when you walk in the caves…I lose my breath, I get goosebumps. Every inch is covered by wall paintings and sculptures in vivid colors. 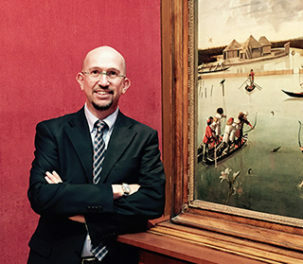 You’re surrounded by art that dates back hundreds of years. What would it have been like at its peak some 1,000 years ago? A very active, vibrant community. While we now think of it as an oasis in the desert, at the time it was a metropolis. In the ninth and tenth centuries it was basically an independent kingdom on the edge of China. The Tibetans conquered it and ruled until 848, and after 848 there were different local families that ruled Dunhuang. It had relationships with other small kingdoms like Khotan all along the Silk Road. Everybody coming into and out of China had to pass through Dunhuang. This is where caravans received their food, their water, prepared for the long trek across [the desert]. It was also a vibrant religious community. Buddhism was the main religion, but there were also Daoists, Zoroastrians, so many different religions. 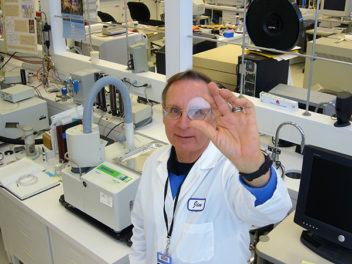 That’s revealed in the documents from the Library Cave. If you could be magically transported back to medieval Dunhuang, what would you do? What would you want to find out? I’d wonder what the texture of the culture, the life, was like. It was Chinese at the base, but with all these diverse peoples. Did that translate into acceptance? If you read Chinese texts [of the time], they talk about barbarians with “deep-set eyes” and “big noses.” It would be interesting to confirm that this variety of nationalities was accepted. Is there one question or mystery about Dunhuang that you really wish you could get answered? Most people would say: Why was the Library Cave sealed in the early 11th century? But what I would say is: What Buddhist rituals took place in the caves? How were the caves used? What do you think is the answer to that question? I think people went to worship the images and to say the name of the Buddha, to prostrate themselves, and circumambulate in the central pillar caves. You would walk with your right shoulder to the pillar, chanting prayers. These were sacred spaces. You also have to picture that there were temples in front of the caves—it was a very large and vibrant place. Some scholars have proposed that the caves were not used for ritual. I think that’s an extreme point of view. But scholars will continue to debate. Do you remember your first visit to Dunhuang? I do. I went in 1995, which is remarkably late because I had already taught the history of Chinese art for years. I thought I knew what Dunhuang was, but the experience was far beyond what I had expected. Was that the moment that led to the creation of the Dunhuang Foundation, or did that come later? It was later, in 2009. Director Fan [Jinshi] invited me to give a paper at the Dunhuang Academy on visitor experience. Every free moment I had, I went to the caves. I would gobble my lunch and then speed off to the caves. I just couldn’t get enough. Afterwards, she was traveling in the United States trying to raise funds for conservation and education at Dunhuang. I kept saying to her, “You really need to start a foundation.” Then I got a call: “You’ve convinced us about the foundation, now will you chair it?” [laughs]. The Dunhuang Foundation exists to support the vision of the Dunhuang Academy, which oversees the caves. Our primary goal is preservation, but we also are working on creating a vibrant artistic and intellectual community at Dunhuang. What keeps you motivated to study and engage with Dunhuang, and Chinese art in general? It’s such a rich resource. There’s so much yet to be done! I find that very exciting. What motivates me is the idea of stimulating scholarship about Dunhuang and advancing the field of study of Chinese art and culture—but also the preservation of Dunhuang. This is a site that really belongs to all humanity. How can we do our part? 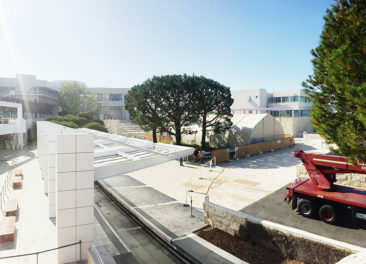 Congratulations to the Getty for supporting this important exhibition!